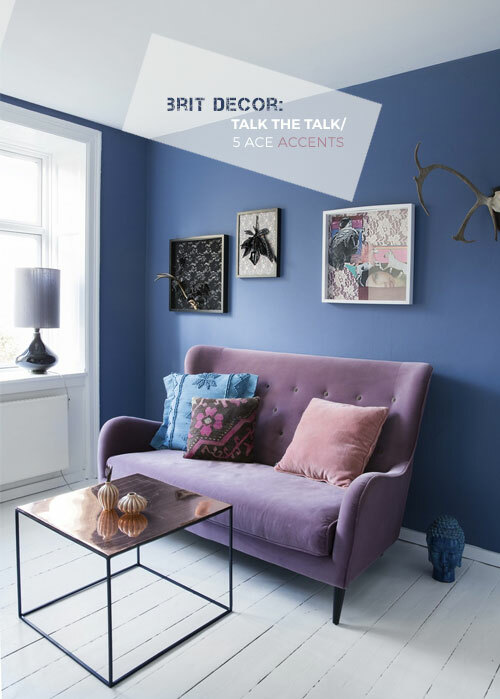 Developing a fluency in accent colours is key to mastering interior design. 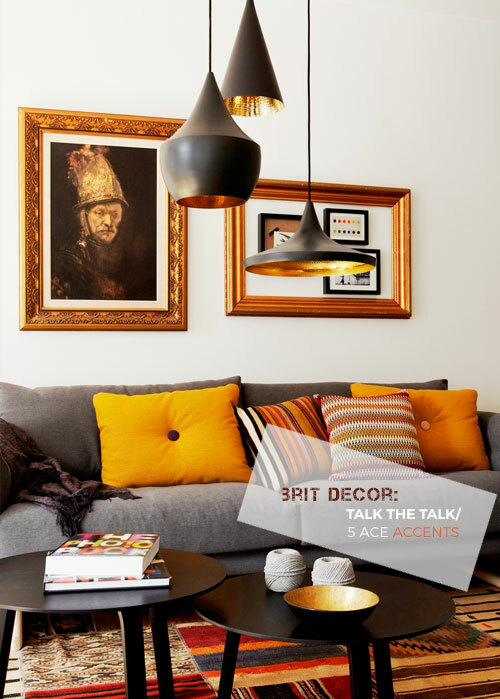 This oh-so simple technique really can create a room scheme that is a cut above the rest. I crave for those moments when I stumble upon a room where accents have been given primary consideration - serving as a colour map, guiding my eyes around the scheme from hue to beautiful hue. 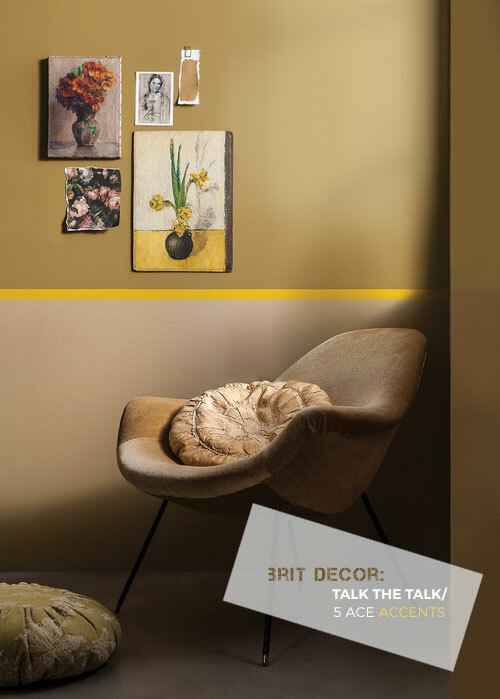 Just like a colour chart where corresponding colours are grouped together for maximum effect - in an accented room, the palette will fall together perfectly. I've been lapping up Habitat's series of videos and interviews with celebrities, called #HabitatVoyeur, and I was struck in particular by the home of Queen of the high street, Mary Portas, with its pitch-perfect application of accents, especially so in the ground floor day room. The plush green velvet of the mid-twentieth century arm chairs set against the corresponding painting behind make for an incredible focal point. 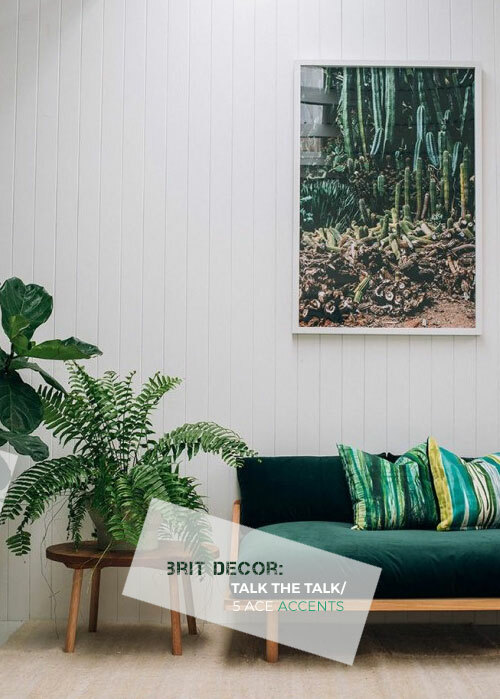 Note how the earthy green in the artwork is pulled into the room via the chairs and surrounding houseplants, the same painting is also put to similar use as it's warmer tones pair-up with the rich orange sofa. For my colour accent inspiration today, I have pulled up five room schemes - each posing 'palette perfection' delivered through artworks, which serve as the key source of accent colours in each of these rooms. Strands of corresponding colour have then been threaded from each of these works and into the rooms via accessories and wall paints, to create a narrative of accented colour, with amazing results! Whatever the colour, there's an accent just waiting to join the party! 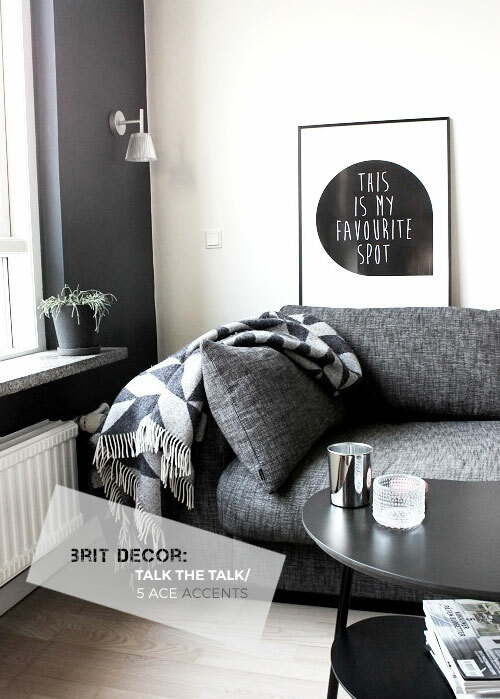 Brit Decor: 5 Ways to Make a Killer Feature Wall! Brit Decor: Bakes/ Plum's the Word!